Leading Manufacturer of pre painted galvanised coils and sheets, galvanised plain coils and sheets, galvanised iron sheets and prepainted galvanised coil from Chennai. We are engaged in offering a proven range of Pre Painted Galvanised (PPGI) Coils and Sheets, which is available in various specifications to meet the requirements of the clients. These PPGI Coils are processed from quality materials and using latest technology. 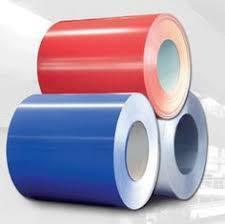 We offer PPGI Coils and Sheets at affordable prices. 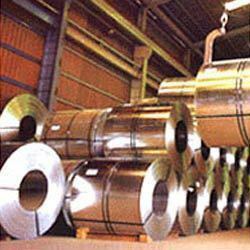 We are an acclaimed trader and supplier of a wide range of high quality Galvanised Plain Coils and Sheets. 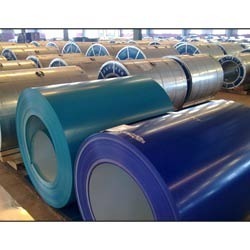 These sheets are extensively used in engineering of boxes, containers and desert coolers. Being resistant to abrasion and corrosion, these products sheets are reliable in nature. Our customers can avail these sheets in different sizes and shapes as well as their specifications. Being a cost effective products, these products are in high demand in the market. Our procurement agents work in compliance with the ardent quality inspectors to ensure that the range of Galvanised Plain Coils and Sheets procured by us is free from any visible or in-built defect. 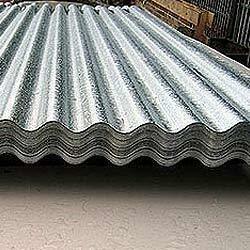 Clients can avail from us a huge range of corrosive resistant and cost effective Galvanised Iron Sheets & Profile Sheet that we have sourced from authentic vendors of the industry, who follow stringent quality norms and measures. Later on the sourcing of these products, we also conduct testing and quality checking on these products as well so as to make sure that we are further offering and selling the clients the best of the value products.